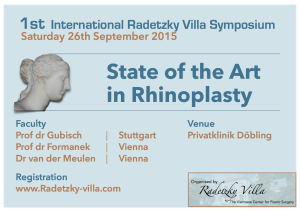 On Saturday 26th September 2015 surgeons of the Radetzky Villa team organised the First International Symposium in Privatklinik Döbling. Surgeons from different nationalities and specialities joined together to discuss the current State of the art in Rhinoplasty. - Dr Jacques van der Meulen, Plastic surgeon in Vienna and Rotterdam, NL, specialist in congenital and aesthetic rhinoplasty. 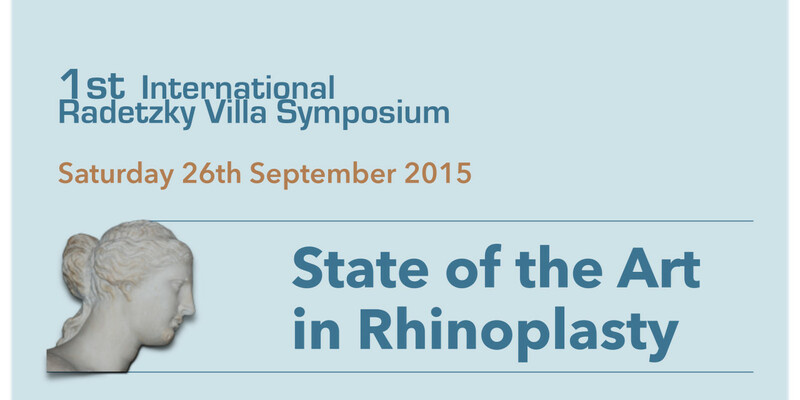 The symposium was aimed at specialists and residents in Plastic Surgery and Ear, Nose and Throat surgery and provided an overview of the current techniques in rhinoplasty as visioned by the leading experts in this field of surgery.